A monumental city if ever there was one, Mérida combines the elegance of its ancient heritage with the best of the modern world. Founded by Augustus in 25 BC to accommodate veterans from his northern Hispania campaigns, Mérida later became the capital of ancient Lusitania. Indeed, the city's importance did not end there, maintaining its status in Visigothic times, through to the Catholic Monarchs and down to the 1980s. 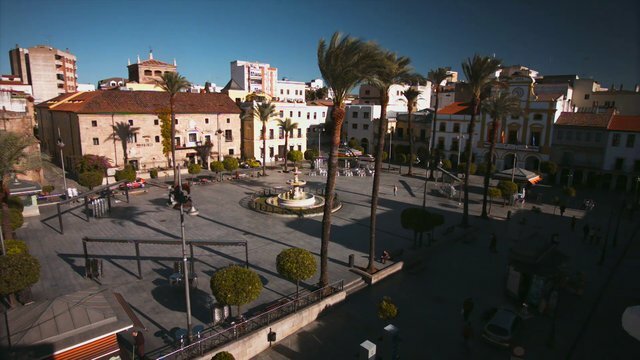 It was named capital of the Autonomous Community of Extremadura in 1983, thus becoming the region's administrative centre. The city's historical importance, allied to its heritage, has seen Mérida become a cultural reference point around the world. In addition to its Roman archaeological remains, some of the most important in the Mediterranean region, and the fact that it has been a World Heritage Site since 1993, it still preserves traces of all those peoples who have settled there at some stage in history. Amidst such a rich historical heritage, Mérida has successfully managed to add new constructions, such as the Puente Lusitania bridge and the Conference centre, as well as being home to one of the four University of Extremadura campuses. You'll also see how such a combination of the old and new is reflected in the life of the city, which is as dynamic as it is relaxing. There is a wide range of services and leisure activities just waiting for you to enjoy. For example, the following three are a must: the city's famed and prestigious Classical Theatre Festival, Emérita Lvdica, which every year take Mérida back to its ancient Roman origins; and Holy Week, Fiesta of International Tourist Interest. Moreover, Mérida is an important communications hub between the Spanish and Portuguese capital cities. Why not start your visit at the Roman archaeological site, with its impressive Theatre and Amphitheatre, to which the Amphitheatre House outside the enclosure must be added. The Temple of Diana dates back to these times, which has been well preserved on account of having formed part of Conde de los Corbos Palace; the Forum Portico; the Arch of Trajan, which served as an entrance to what was a sacred group of buildings; the Roman Bridge, from which you get a marvellous view of the Alcazaba, and indeed, of the entire city; the Roman Circus, one of the most impressive in the world, given both its size and state of preservation; the so-called miraculous Los Milagros Aqueduct, the pillars and arches of which have been preserved, standing up to 27 m high; the bridge over the Albarregas river, from which the road strikes out that was to become the Silver Way; the Morerías archaeological site and Proserpine's reservoir, the biggest built by the Romans anywhere in the Mediterranean. Don't miss out on a visit to the Aqueduct and San Lázaro Roman Baths, as well as the Temple of Mars, popularly known as the “el hornito” (“the little oven”, in reference to where St. Eulalia was martyred), in honour of the patron saint of the city and located inside the Basilica de Santa Eulalia. If you'd like to find out more about the lifestyle of the first inhabitants of the city, drop in to the National Museum of Roman Art, which houses the biggest collection of Roman art in Spain. Be sure to visit the Arab Alcazaba. Standing beside the Roman bridge, this is the oldest of its type in Spain. It contains a water cistern with Roman and Visigothic elements. For those interested in Visigothic culture, a visit to the Church of Santa Clara is a must, given that it houses the Museum of Visigothic Art. The Basilica of Santa Eulalia was already an important attraction in Medieval times given its status as the first ever Christian church built in Spain (4th century) after Constantine had lifted the prohibition on practising the Christian faith. Its crypt is worthy of special mention as it contains remains of great interest, among which there is a Christian burial ground. The Co-cathedral of Santa María la Mayor (13th century) is also worth a visit. Albeit of later construction, you might also like to visit the Church of Nuestra Señora de la Antigua, the Church of Santa Clara or the Hospital de San Juan de Dios, the current seat of the Parliament of Extremadura. Not far from there you have one of the oldest luxury state-run hotels in Spain, the Parador Nacional Vía de la Plata, previously the Hospital de Jesús Nazareno. The beautiful, porticoed Plaza de España is home to buildings of interest, such as the Palacio de los Mendoza (15th and 16th century), as well as later constructions like La Casa de los Pacheco, the Círculo Emeritense and the Palacio de la China dating from the 18th, 19th and 20th centuries, respectively. If its a little peace and quiet that you're after, or you'd like do a bit of exercise, why not pay a visit to the La Isla del Guadiana park? You'll no doubt come across young herons, storks and cormorants along the way. From here you can visit several different styles of bridge, such as the iron Puente de hierro del Ferrocarril, the Puente Nuevo or the well known Puente de Lusitania. There can be no better way to do sport or bid farewell to the day than by taking a quiet walk through this leafy park.